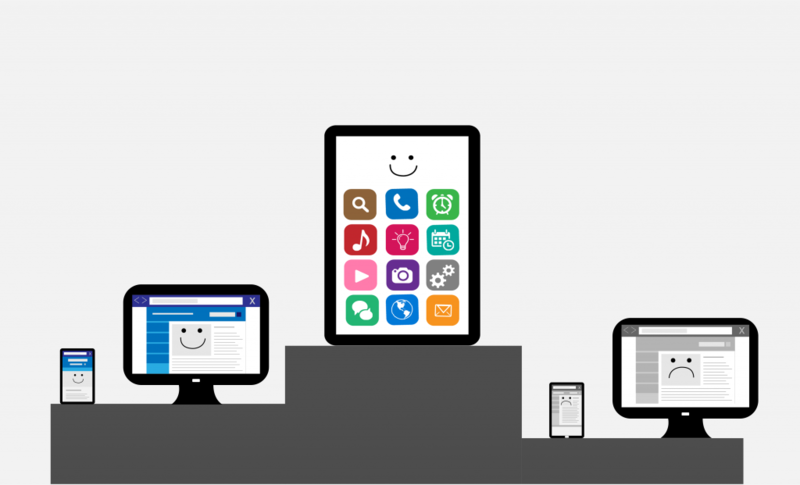 Just about every business with a website understands why mobile experiences are important. After all, more than 50% of web traffic today flows through mobile devices (Statistica), which leads to a whole lot of dollars. But, what exactly constitutes an effective mobile experience today? Over the past seven years, the bar has been continually rising for mobile experiences. Once cutting-edge “mobile-friendly” websites are now obsolete, and mobile users are demanding better, more engaging experiences. Let’s briefly walk through the recent evolution of “mobile experience” before exploring where we’re at today. About eight years ago, the world started to wrap its head around the notion that we’d soon be more engrossed with our phones than with our computers. The original iPhone and subsequent models had bewitched us with their gorgeous touchscreens and mobile Internet voodoo magic. Businesses that didn’t want to miss out on mobile traffic had to scramble to create or redesign websites that were free of these limitations. At first, that often meant building a one-size-fits-all mobile-friendly website. These were websites designed for the lowest common denominator – made to work on both desktop and mobile browsers, resulting in a user experience that often wasn’t very good on either desktop or mobile (unless you liked having to pinch and zoom to be able to click a link, for example). Later, mobile-friendly came to involve offering a separate mobile website alongside the desktop version of the website. These mobile websites were often barebones in nature, because many businesses couldn’t justify building a second full-featured website with a separate code base to create and maintain. Many early mobile-friendly websites were created and maintained separately from their desktop counterparts. Fast forward to about 2014. Even laggard businesses had implemented some form of a mobile-friendly website. Box checked, requirement met. Or not? Alas – by this point in time, offering a mobile-friendly site still had you struggling to keep up with the Joneses. 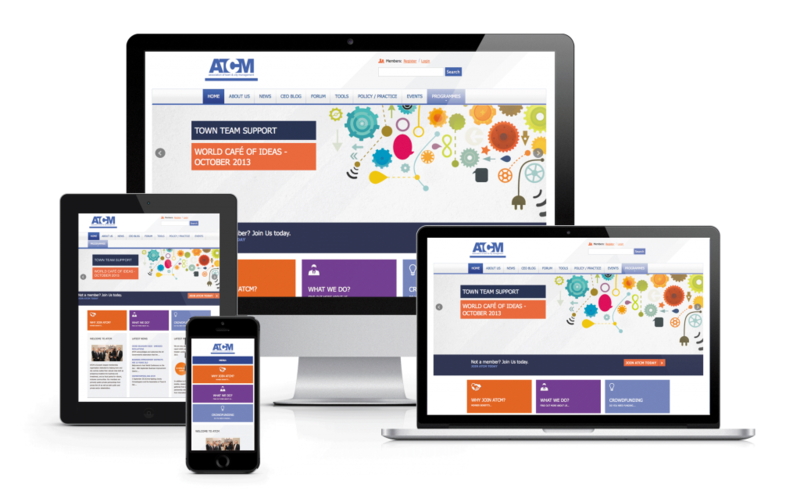 Many businesses had already moved on to something better: mobile responsive websites. Mobile responsive sites use CSS media queries to dynamically present a different user experience depending on the device (desktop or mobile) and/or screen size. 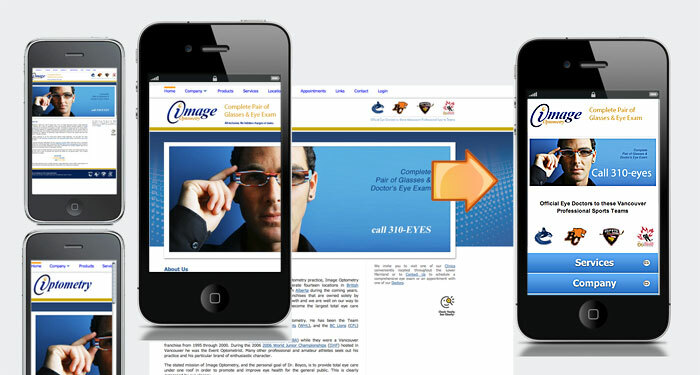 On a mobile responsive website, images and text might dynamically resize when viewed on a smartphone. Traditional navigation menus could turn into “hamburger” menus, and content could magically snap to fill every bit of viewable space. Today, mobile responsive websites are pervasive. WordPress, Squarespace, and other website platforms offer out-of-the-box mobile responsive themes and products. Businesses undergoing website redesigns often consider mobile responsiveness a critical requirement (rather than a competitive advantage or differentiator). Mobile responsive websites are created and maintained on a single code base but can provide optimized experiences across many different devices and displays. While mobile-responsive websites can certainly look great on both desktop and mobile, they aren’t the endgame for mobile experience. Consumers are now spending an average of more than four hours per day on smartphones (eMarketer). This is a massive opportunity for businesses that leverage the full capabilities of today’s mobile devices. To provide that deep mobile experience and to unlevel the playing field once again, many businesses today are creating native mobile apps, or apps coded for a specific mobile platform (iOS or Android, for example). It’s clear that mobile apps are key to delivering exceptional mobile experiences going forward. 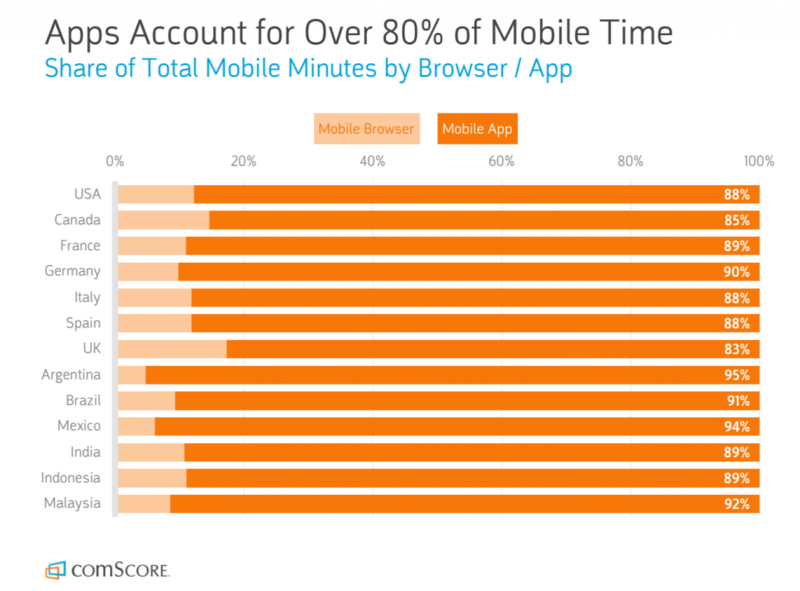 But why are apps such clear winners versus mobile websites? One touch access from home screen – no need to open a mobile browser to initiate an experience. What these advantages all boil down is the notion that native apps offer a decidedly stronger user experience, delivering more users, more user engagement, and more revenue. Mobile applications aren’t for every business, though. It generally costs more to create a native mobile app than it does to create a responsive website – and the upside is limited if your app doesn’t really do much beyond what a website already can. However, for businesses that do want to engage their mobile users more deeply and/or more frequently, there is no better way to do so than to offer native mobile apps. If the brief history of mobile experience has taught us anything, it’s that the bar will inevitably rise. Today’s very best mobile apps still need to be continually updated – not just for compatibility with new operating systems and APIs – but also to integrate emerging technologies like artificial intelligence (AI) or machine learning, blockchain, AR/VR, and other game-changing experiences. Further, as the infrastructure supporting mobile experiences improves – 5G connections that are 100 times faster than 4G LTE, for example – you can be sure that seismic shifts in mobile experience will follow.